The old stock market adage, “Sell in May and go away” continues, “don’t come back till St Leger’s Day”. However, analysis of the historic data shows that the worst returns over this period occur in May and June. After June, returns up to St Leger’s (in September) tend to be quite flat. In fact, after traditional weakness in June, prices quite often bounce back in July – making this month a small island of strength in an otherwise weak 6-month period. Since 1970 the FTSE All-Share Index has seen an average return of 0.8% in July, with 52% of years seeing positive returns in this month. 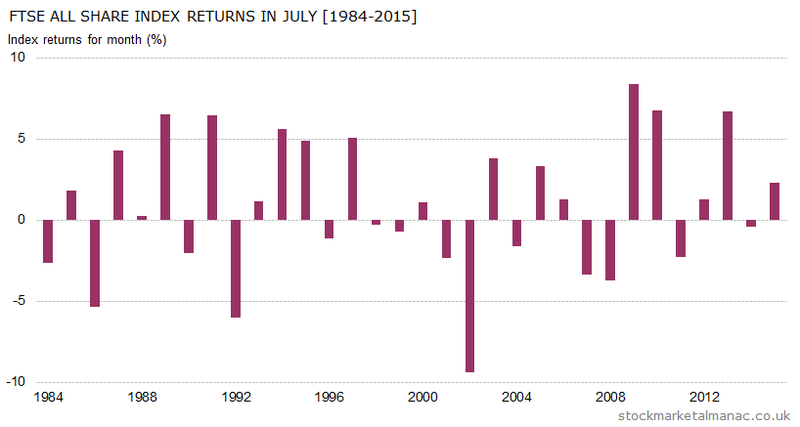 This makes July the fourth strongest month of the year for shares. As can be seen on the accompanying chart, in recent years shares have been particularly strong in this month. In the past 7 years the market’s returns in July have been over 6% in three years. Currently, July is on quite a run! On average the start of the month tends to be strong ­ the first week of the month is among the top ten strongest weeks in the year. After that, the market has a propensity to drift lower for a couple of weeks until finishing strongly in the final week of the month. July is one of only three months (the others being September and October) where the FTSE 100 tends to out-perform the mid-cap FTSE 250, although the out-performance in July is not significantly large (an average of 0.3 percentage points since 1986). Better is the performance of the FTSE 100 relative to the S&P 500, in sterling terms July is the second best month for the FTSE 100 (an average of 1.0 percentage points since 1984). Historically the sectors that have been strong in July are Chemicals, Personal Goods and Real Estate Investment Trusts while weak sectors have been Gas, Water & Multiutilities, Support Services and Beverages. July is a busy month for companies announcing their interim results: 23 FTSE 100 companies will be doing so, and 44 FTSE 250 companies. On the economics front: there is the US Nonfarm payroll report on the 1st, the MPC interest rate announcement on the 14th, and the two-day FOMC meeting starts on the 26th. The New York Stock Exchange will be closed on 3rd July. And on the outside chance that England don’t win Euro 2016, fans can instead celebrate the 50th anniversary of winning the World Cup on 30th July. Further articles on the market in July. 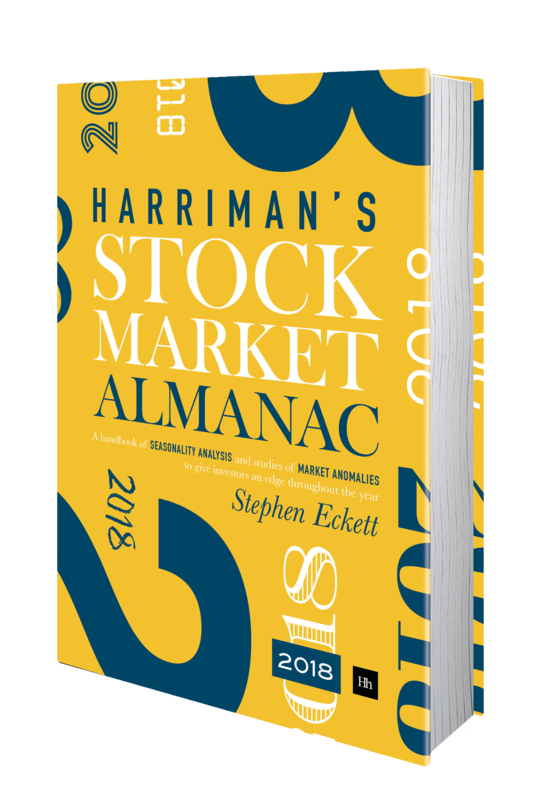 This entry was posted in July, Market, News and tagged month review by Almanacist. Bookmark the permalink.